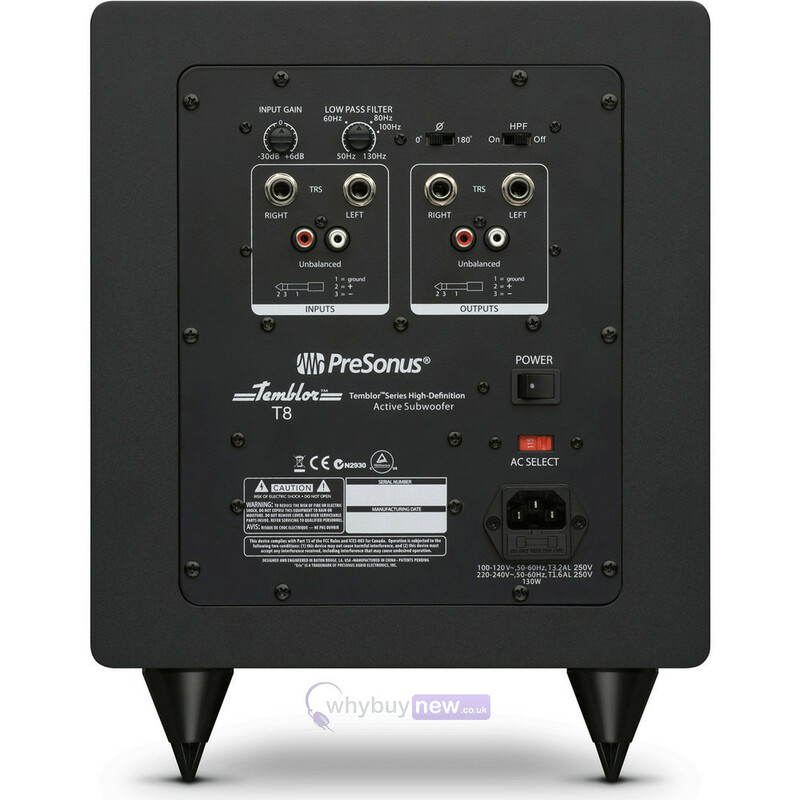 This is the PreSonus Temblor T8 Active Subwoofer from the brand that is the best friend of professionals and beginners alike. The Temblor T8 might be small in stature but certainly not in sound; its super lightweight and super rigid glass-composite LF driver gives you a tight and responsive bass that complements the clarity of your other studio monitors rather than overshadows them. It's adjustable lowpass filter and input gain mean that you can adjust the Temblor T8 to suit any environment whether its in a small studio or your own home, and this combined with its size makes it an ideal investment for students and beginners. 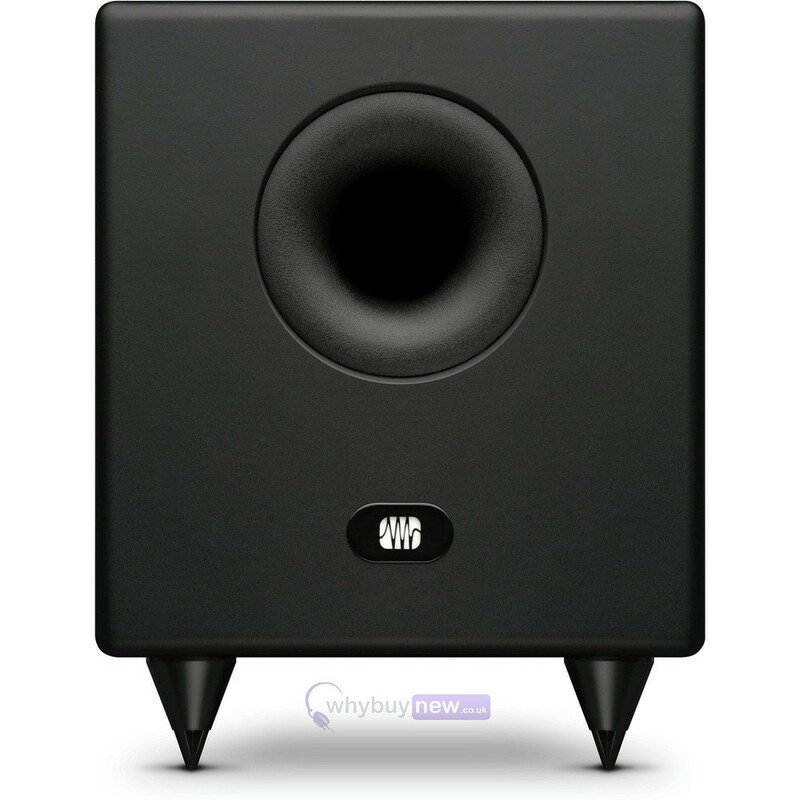 A subwoofer provides the extra-deep low frequencies you need when mixing on relatively small monitors, especially for music that requires serious low-end punch. Powerful and musical, Temblor T8 active, downward-firing subwoofers are designed to deliver fast and accurate transient response, extending low frequencies without a hint of "tubbiness" or overshoot. 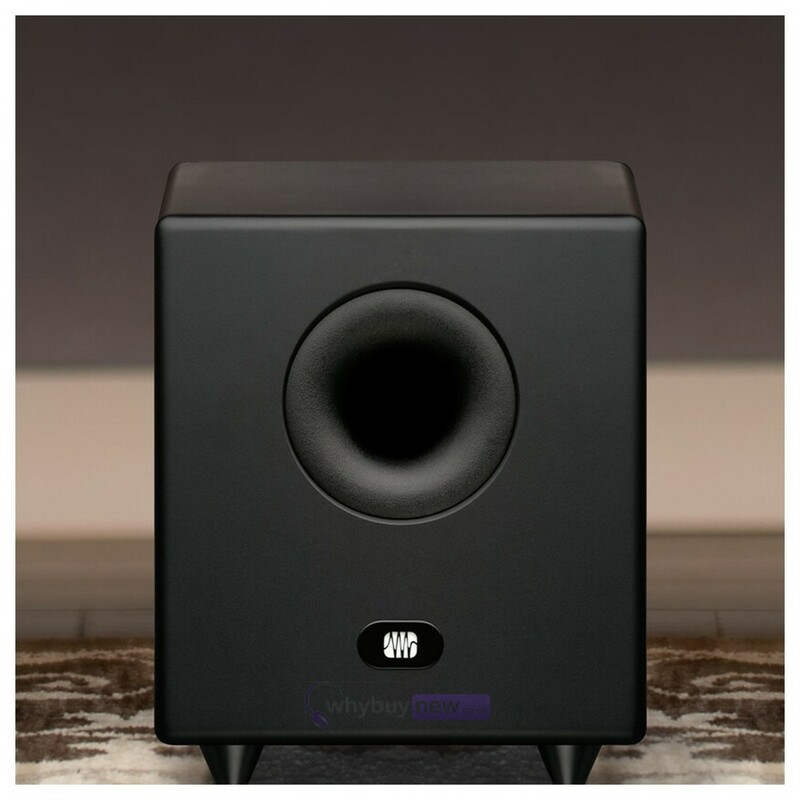 This ensures that Temblor-series subwoofers complement full-range monitors without overshadowing them, naturally extending the reach of your full-range system's low end so that you can produce your best mix from top to bottom. The Temblor T8's glass-composite low-frequency driver delivers tight and responsive bass, thanks to its lightweight and rigid cone. This design also provides lower distortion than other materials, ensuring that the sub-bass reproduction in your monitoring system is as coherent and clear as your full-range monitors. 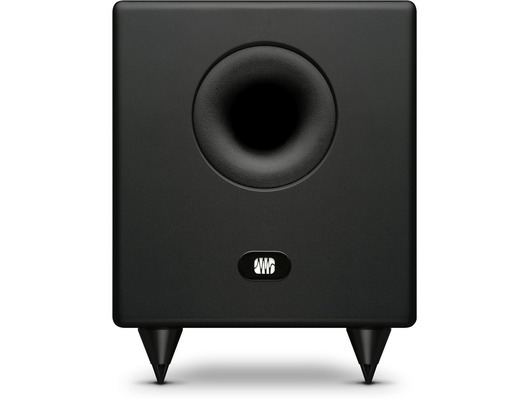 Temblor subwoofers provide the connections and controls necessary to act as the central hub for a basic monitoring setup. A switchable highpass filter on the full-range outputs helps to avoid frequency cancellation and reinforcement in the subwoofer's upper range. A polarity invert ensures your system is in phase. When you hear the low-frequency foundation of your mix accurately, you can make more informed decisions and create more translatable mixes. 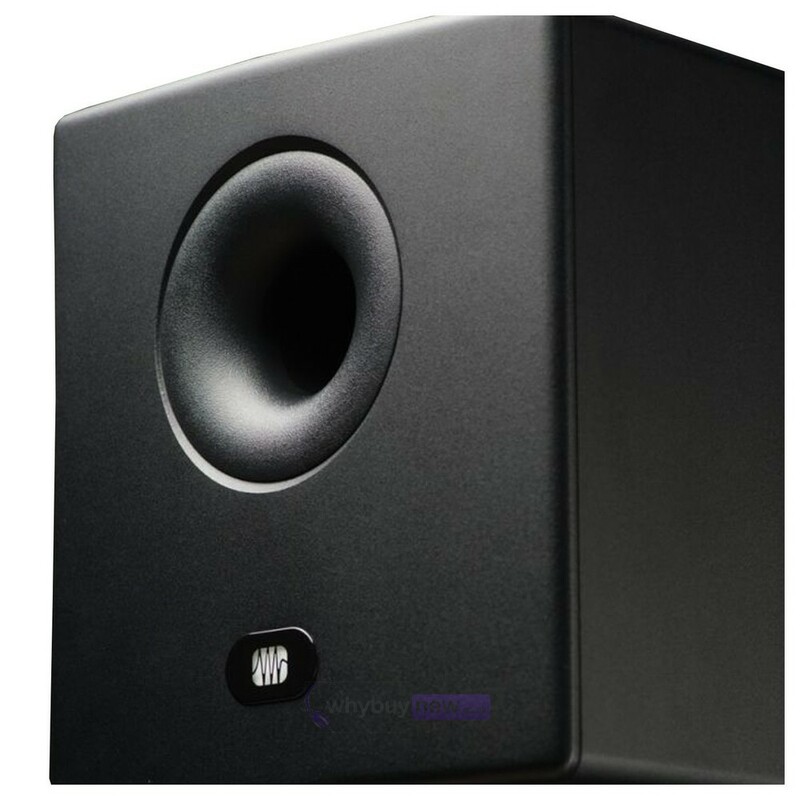 Temblor T8 subwoofers are the natural sub-bass extension for virtually any small full-range studio monitoring system, home stereo, or home theatre system. Hear the Temblor T8 at your favourite PreSonus dealer.